According to a recent eMarketer report, up to 15M internet users will have installed ad blocking software, by the end of 2017. That equates to over a quarter of all UK internet users. It’s nothing short of cataclysm for online advertising inventory. Today also sees the first major browser break rank with Norwegian based Opera launching a desktop version of its new browser, with a native ad blocker already integrated. Ad blocking is fast becoming a ‘Napster’ level event for online publishing. With millions of users now accessing content stripped of served ad units, the core revenue model is bust. Whether or not it’s considered as content piracy is going to be a much tougher case to prove. So who’s to blame? Much of responsibility lies with agencies and ad servers. At best, conventional ad units are intrusive, clunky and obstructive for a decent user experience. Ad servers are certainly driving the explosion in mobile ad blockers, chewing through users’ bandwidth to grab their performance data. Not only that, Apple is looking to soften the revenues Google enjoys through its hardware and have thrown their weight behind their own blocking products. The pair have started a bar-brawl, now spilling into the local neighborhood. Brands and advertisers have some stark choices. They could use their collective weight to support those publishing networks counter-blocking the software, forcing users to switch-off blockers to access content. That will clearly become a shifting battle as more sophisticated blocking apps will force publishers into a perpetual goose-hunt. The alternative, of course, is to adapt, survive and thrive. It’s been 15 years since Napster blew the music industry apart and given the opportunity to predict where the digital advertising market will be in 15 years from now… the odds on the publishers and media agencies look will be heading northwards. This technology is thriving because users want it and that demand is only going to grow, especially if we attempt to squeeze and fight it. Those who thrive the coming era, are those now shifting a chunk of their investment into social, content and native advertising. Social campaigns build on kinetic power within a user community. They are organic, dynamic and with powerful creative thinking, the returns are exponential. From the compelling #hashtag to human stories and user generated experiences, social branding is clearly the model for the future of every brand in the coming decade. Content marketing builds brand real estate more than any other media strategy. In fact, great content marketing exposes advertising’s lack of bandwidth, sustenance and engagement. Whilst it thrives on traditional broadcast models (embedded for half-a-century or more), online advertising feels steam-powered compared to the renewable energy in powerful content. Native advertising might well become the powerplay for brands and publishers over the coming year. In fact, you could bet your mortgage that most (if not all) media agencies and publishing networks will be swatting hard on how this discipline has grown from the alternative stage to potentially the headline act. 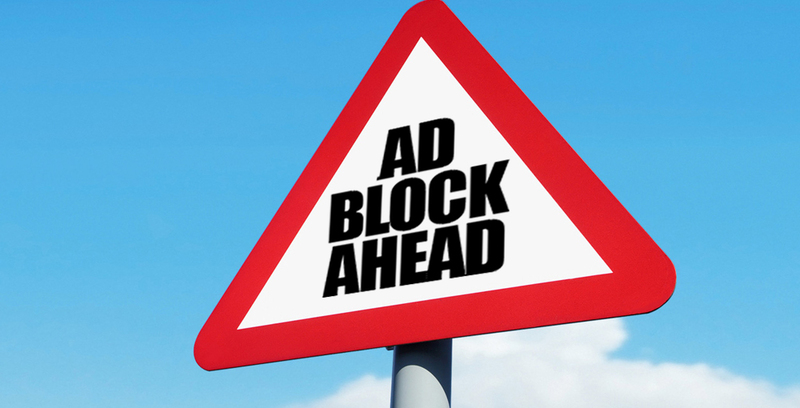 Ad blocking is a rapidly approaching storm and it won’t be stalled at the gates. It has an army of millions, growing by the day. Whilst directly challenging the developers and incentivising users to “play fair” might buy some time, the people won’t be beaten.